ASB economists have trimmed their milk price forecast for this season to $6.25 per kilogram of milk solids, down from their previous forecast of $6.50. The new forecast by the economists lines them up with the bottom of the range of prices as issued by Fonterra last week when it forecast a price of $6.25 to $6.50 for this season - down from a previous forecast of $6.75. ASB senior rural economist Nathan Penny says he calculates based on the new ASB forecast that farmers' net incomes will be collectively reduced by about $240 million. The new forecast from ASB is now also more in line with what other big bank economists are forecasting. 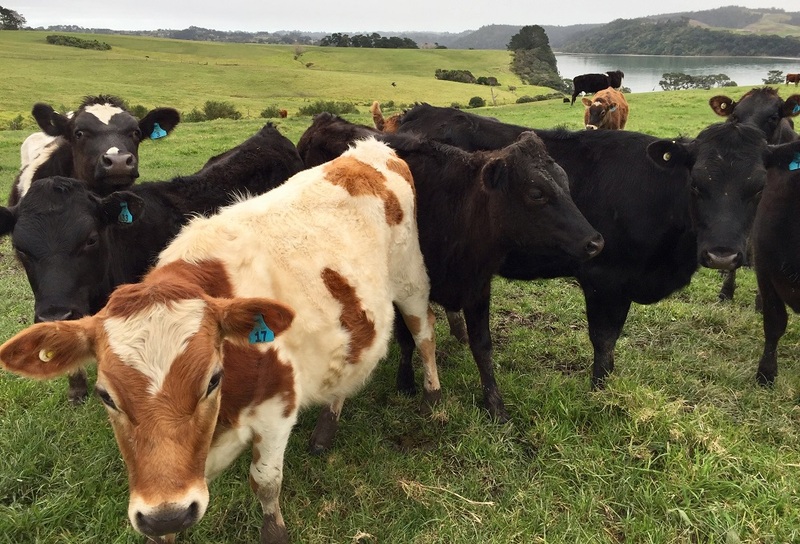 "The recent auction falls come as NZ production continues to show significant strength. Season-to-date production is running in excess of 5% ahead of the same time last season. Moreover, Fonterra lifted its forecast milk collections growth forecast to 3%, from 1.3% previously." Penny's now doubled his forecast production increase this year from 2% previously to 4% and says if it does increase 4% then there will be record milk production this year. Westpac economists are also picking a $6.25 milk price this year. Westpac senior economist Anne Boniface has had a close look at production levels around the world. She says the four big dairy exporting regions – New Zealand, the European Union, the US and Australia – together account for 87% of global dairy exports. How milk production, and subsequently exports, from these regions evolves can significantly impact global dairy prices. "In aggregate, milk production growth in the top four dairy exporting regions is up around 1% on a year ago, but the pace of growth has slowed in recent months. On a seasonally adjusted basis, milk production has been broadly flat over the last three months," she says. European milk production is up 1.9% for the year to August compared to last year. In the US, milk production has also grown modestly, up 1.1% in the year to August. In Australia, dry weather is hitting milk production in Victoria, New South Wales and Queensland hard. This has led to nationwide milk production falling 3.6% in August compared to the same time a year ago. But it’s not just prolonged drought that is affecting milk production in Australia. High water and feed prices and low milk returns are also playing a role, leading some to suggest that it’s not just weather dampening milk production and that the sector will continue to contract beyond this season. Boniface says outside the top four, but still worth noting, is milk production in South American countries, in particular Argentina. Milk production in Argentina has grown strongly this year, up 6.8% for the year to July, although the pace of growth has reportedly slowed recently. But even if milk production in Argentina grows 5% over 2018, this would only bring milk production back to around 2010 levels. "Against this backdrop, milk production growth in New Zealand is something of an outlier. New Zealand milk production was running 4.7% ahead of last season in August, with the season to date up 5.5%. Fonterra has reflected this strong start to the season in its own forecasts, noting that it now expects its own milk collections to be up 3% this season (up from its May forecast of 1.3% growth). However, while many parts of the country have enjoyed favourable weather in recent months, farmers are on high alert for the prospect of El Nino conditions developing. As always, weather conditions will be key in determining how milk production evolves over the back half of the season. "So on balance, we’re not so sure that soft dairy prices in recent months can be entirely pinned on strong growth in global milk supply. While this is undoubtedly part of the story (especially in New Zealand in recent months) the outlook for demand is equally important. In particular, how Chinese demand for dairy imports is evolving will be critical in determining the direction of prices from here."